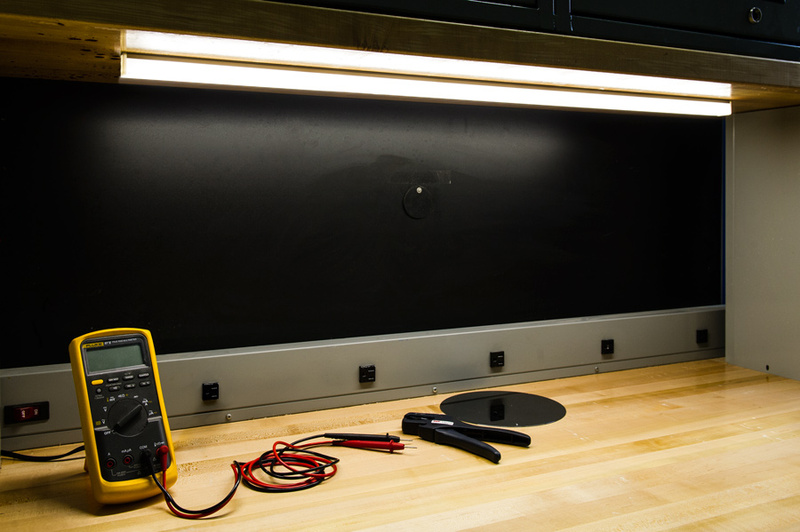 The KLUS GIP series LED aluminum profile housing is great for workbench lighting, bookshelf lighting, cupboard lighting, cove lighting, desk hutch lighting, ceiling lighting, and more. 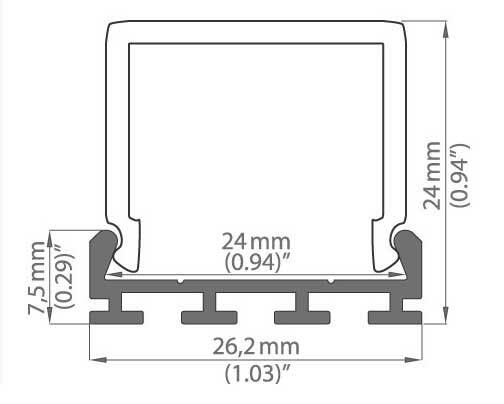 This surface-mount LED channel provides a professional mounting solution for flexible, rigid, or linear LED strip lights that measure up to 22 mm wide. 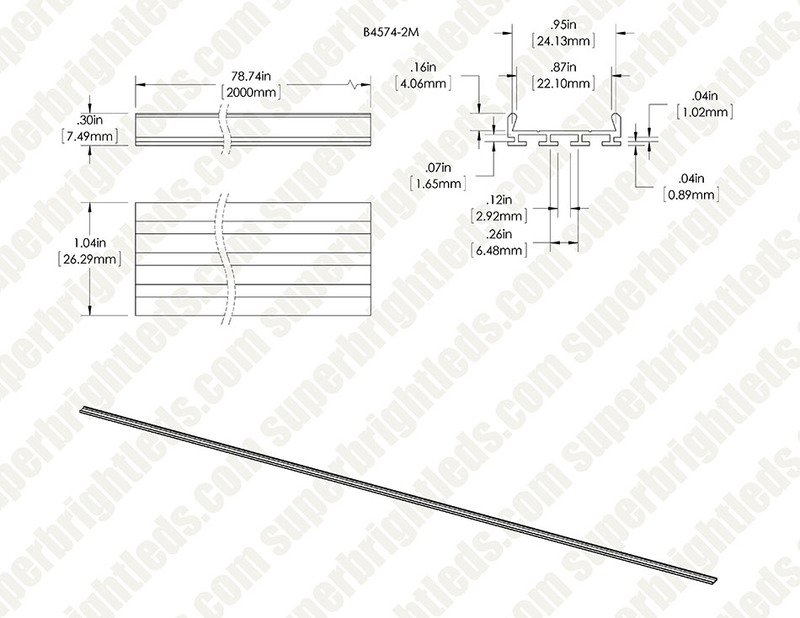 The 1m (39-3/8") or 2m (78-3/4") profile housing is constructed of sturdy anodized aluminum. Square or round protracted lenses (sold separately) are available for smooth lighting with no visible hot spots. 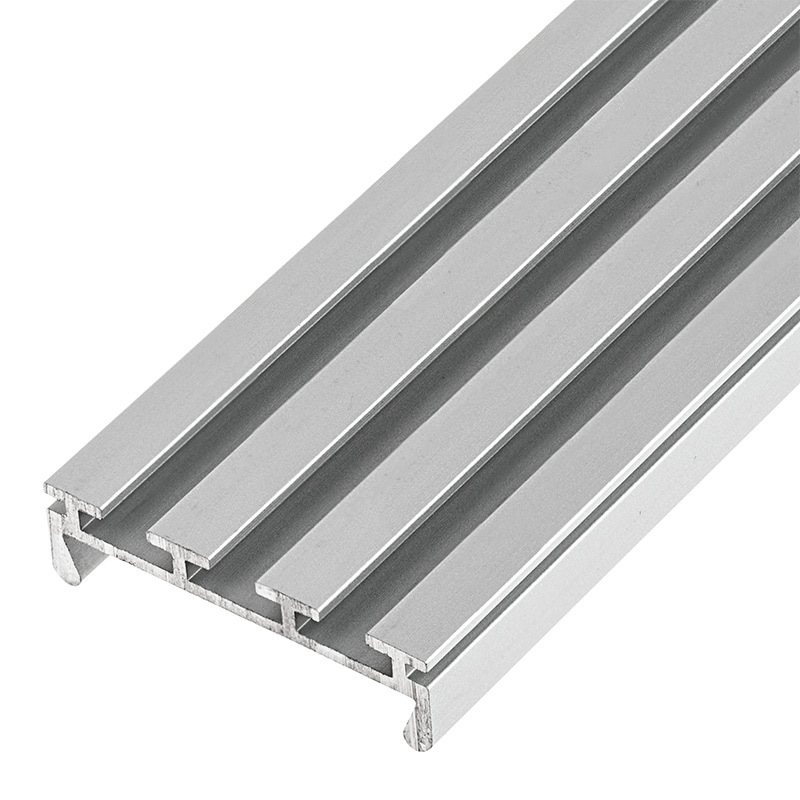 The extrusion is made from high quality, double-anodized aluminum, designed for maximum of two flexible or rigid LED strips that are up to 24mm wide. 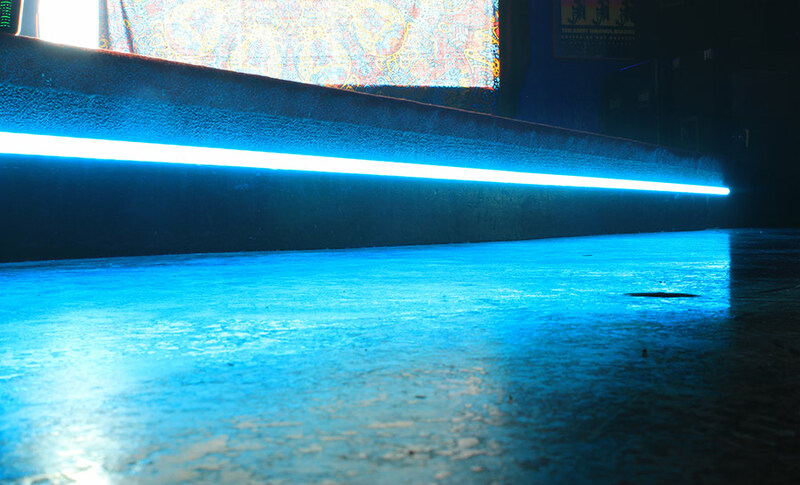 LEDs can be hidden behind a frosted cover in the semicircular shape G-L or square shape G-K, made of polymethyl methacrylate. Standard polypropylene end caps are used for the extrusion as supplementary accessories. 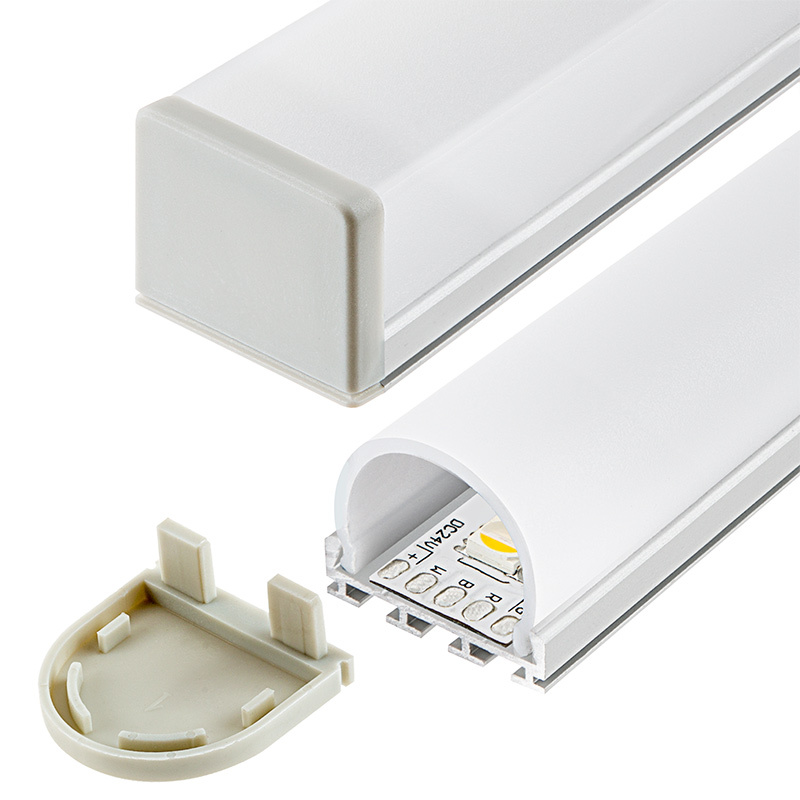 End caps protect the extrusion from dust and other undesirable elements, which can make LED strips dirty and consequently deteriorate quality of light output. The extrusion can be mounted to surfaces with the use of double-sided adhesive tape, mounting glue or screws which guarantee easy and secure mounting of the extrusion to a desired surface. The extrusion with LED light source is mostly used to create light illuminations inside rooms, but also to illuminate displays, cabinets, etc. 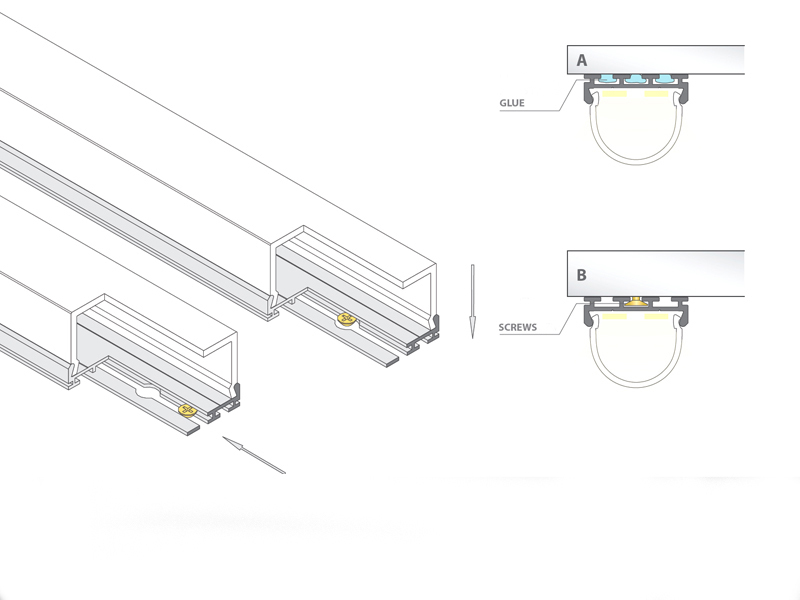 Due to the possibility of installing two strips inside the extrusion it can be used as a primary energy-efficient light source. 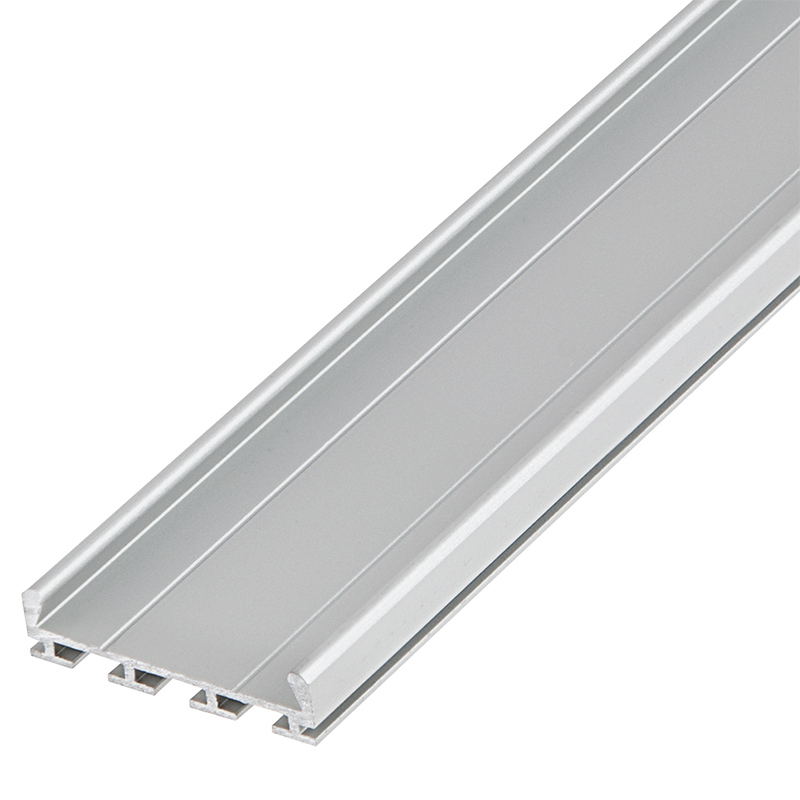 The extrusion can accommodate 24mm (0.94") wide LED strips, as a result it provides more light output and can be used as a primary energy-efficient light source. 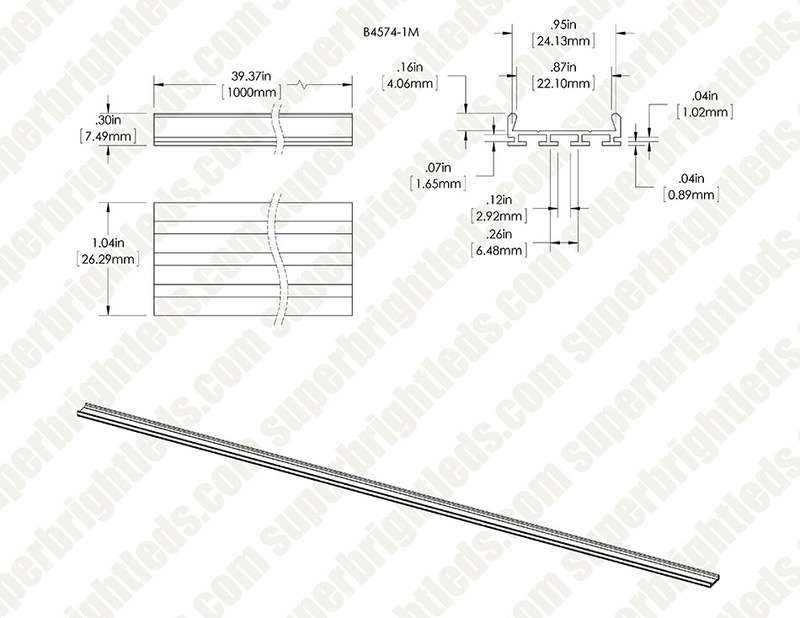 The extrusion has a modern design and is more environmentally friendly than a typical fluorescent light. Easy to cut and mount. First we mount the extrusion and then we use RGB LED tape inside a frosted lens. It looks great. Like neon but so much cheaper and more durable. To be extra safe we use foam tape between the extrusion and the LED tape to prevent potential electrical shorts from happening, which it did to us one in the past.